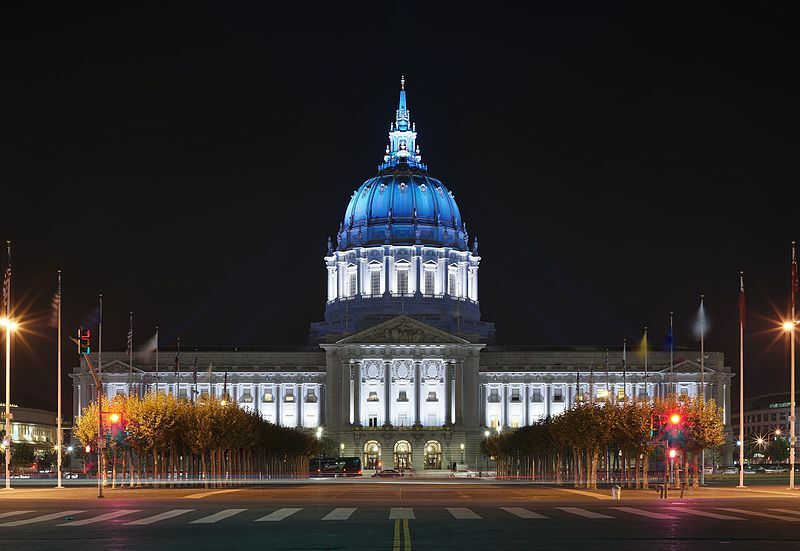 City Hall celebrates San Franciscos storied Jewish heritage – J. Speaking before an audience of 500 in the rotunda of San Francisco’s City Hall, historian Marc Dollinger summarized the city’s Jewish history in a verbal tour that spanned the Gold Rush to today. Jews, he said, have “built, rebuilt, and continue to build” its institutions. At the city’s first public celebration of Jewish-American Heritage Month on May 20, Dollinger, Mayor Edwin Lee, Supervisor Scott Wiener, and representatives from the Jewish Community Relations Council and S.F.-based Jewish Community Federation addressed a common theme: the generations-long commitment of the local Jewish community to a wide range of progressive social causes. 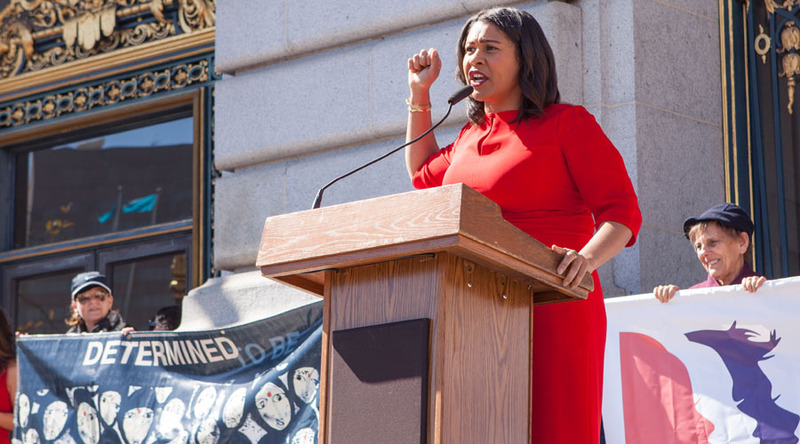 JCRC president Rosalind Franklin noted the strong presence of San Francisco’s Jewish leadership at the forefront of community actions to fight racism, promote affordable housing, and end human trafficking. She acknowledged many local Jews who achieved prominence in the nation’s political life, including Florence Prag Kahn, a teacher who in 1925 became the first Jewish female member of Congress, after the death of her husband, U.S. Representative Julius Kahn. Apologizing for his hesitation to try out a bit of Hebrew or Yiddish on the crowd, Lee instead offered a hearty, “Go, Warriors!” in the midst of the NBA playoff season, and introduced Scott Wiener. Wiener drove home a few less-pleasant truths about the history of Jews in San Francisco. 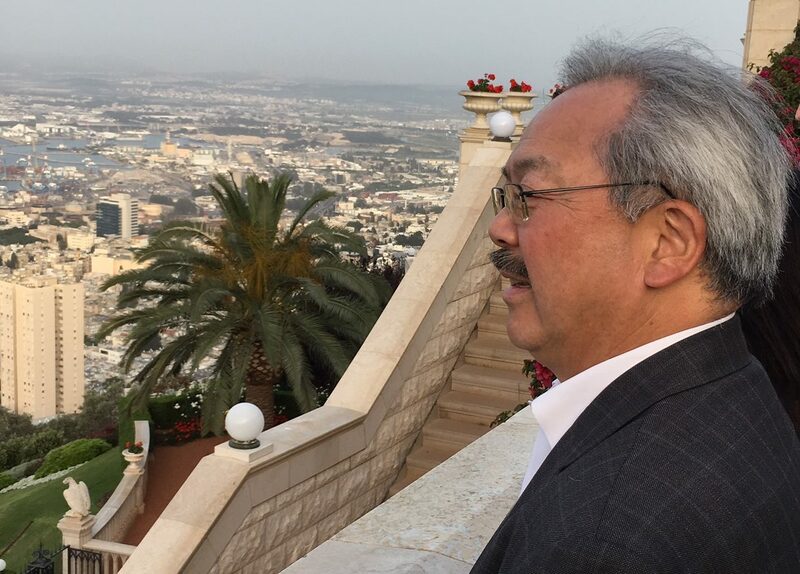 “The Jewish community does not get the recognition it deserves for the role it has played in the economic, cultural and civic life of San Francisco, going back to the very beginning,” he said. Among the Goldman family’s philanthropic efforts is an endowed chair in Jewish studies at San Francisco State University, held by Dollinger, who cited the names of the city’s prominent Jewish politicians. Sutro, he noted, wasn’t the city’s first Jewish mayor. That honor goes to Washington Bartlett, elected in 1882 and 1884, who later became California governor. 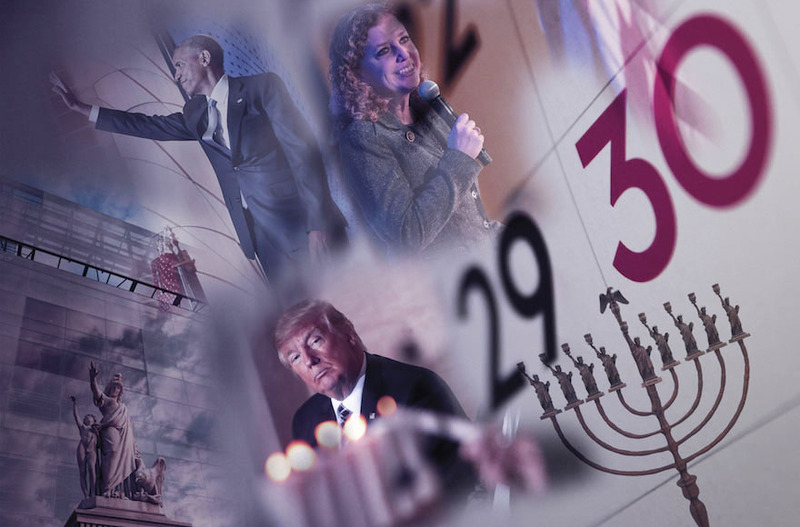 The city’s Jewish political luminaries also include Harvey Milk, the nation’s first openly gay elected official, Dianne Feinstein, former mayor and current U.S. senator. California’s other U.S. senator, Barbara Boxer, who lives in nearby Greenbrae, is also Jewish. Dollinger reeled off the role of the city’s Jewish organizations: Congreg­ation Sherith Israel served as the city’s courthouse after the 1906 earthquake and fire, and was the site of the conviction of city boss Abe Ruef, later sent to San Quentin. Congregation Sha’ar Zahav has “challenged hetero-normative standards” and B’Chol Lashon has challenged “race-based assumptions of what Jews look like.” The community stood up for the rights of ghettoized Chinese immigrants early in the 20th century, defended Japanese internees during World War II and supported the emigration of Soviet refuseniks. Edelhart, a senior at the Jewish Community High School of the Bay, who serves as the mayor’s youth commissioner, talked about the Jewish commitment to orphans and the poor. That commitment propelled her own decision to volunteer with social-action projects and to pursue a career in “making beautiful law,” continuing the Jewish pursuit of justice. What is Jewish Heritage Month? Jewish Heritage Month marked in S.F.